Tonight was the night we say Big Garth on Coronation Street for the very first time. Big Garth at the market been one of those mythical Corrie creatures, like Fat Brenda, that we've often heard mentioned but have never seen. 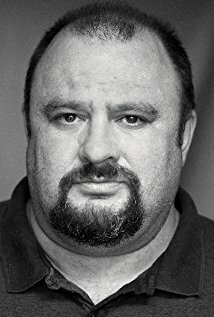 The actor who played Big Garth is called Victor McGuire. I know him from his role as the security guard in supermarket comedy Trollied on Sky (as I love that show!). You might recognise him from the sitcom Bread where he played Jack Boswell.